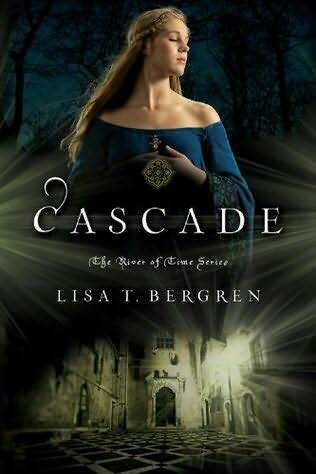 In Cascade, the second book in the River of Time Series, Gabi knows she’s left her heart in the fourteenth century and she persuades Lia to help her to return, even though they know doing so will risk their very lives. When they arrive, weeks have passed and all of Siena longs to celebrate the heroines who turned the tide in the battle against Florence—while the Florentines will go to great lengths to see them dead. The she-wolves of Siena are back! Can I just say, this book is an amazing sequel to an amazing book. I was prepared to be disappointed considering how Waterfall was such a good book but Cascade definitely measured up. It begins with Gabi and Lia’s entrance back into present time where Mom freaks out and the whole story comes out. Gabi convinces Mom and Lia to go back and is soon reunited with her beloved Marcello. The romance quickly heats up, with lots of kissing. But as soon as you pass the first 50 pages or so, the good old action kicks in. With the Black Plague, kidnappings, battles, secret tunnels, disguises, a new bad guy who happens to be not so bad (and super hot) plus the return of Lord Paratore, what more can you ask for? This book was filled with very, very, very (did I say VERY???!?!) surprising twists and turns around every corner. With Gabi in love with Marcello and Lia falling in love with Luca, this book leaves you wondering what life will they choose. Will they stay with their loved ones and battle the Black Plague and all of Florence? Or will they go back to their comfortable, safe modern life? THANK YOU to Lisa T. Bergren for a great read. I cannot wait to see how Gabi and Lia’s story continues in Torrent. I have no idea how everything will play out but I do know that whatever it is, it’s gonna be good.